John P. James is a partner in the law firm of Friedman, James & Buchsbaum LLP. The firm maintains offices in New York City and Monmouth County, New Jersey. Its reputation is founded upon the aggressive legal representation of those injured in maritime accidents, including blue-water seamen, tug and barge crew, ferryboat passengers and workers (including the Staten Island Ferry), commercial fishermen and those engaged in other maritime activities, such as longshoring, harbor work and marine construction. For the past twenty-eight years, John P. James’ clients have included many individuals who have sustained serious injuries on cruise ships, pleasure craft and other recreational vessels. John James has substantial experience litigating the unique attributes of maritime law, including Limitation of Shipowners’ Liability, Jones Act, Maintenance and Cure, claims based upon the warranty of seaworthiness, and longshore claims under the federal Longshore & Harbor Workers’ Compensation Act. 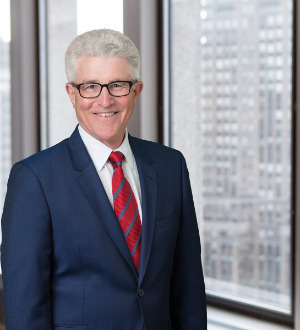 Prior to joining Bernard D. Friedman in 1990, Mr. James was a partner in the law firm of Healy & Baillie, a highly respected maritime law defense firm representing shipowners and operators, P&I Clubs, and other members of the worldwide maritime community. He was primarily engaged in defending maritime personal injury and death cases, but also participated in major cases involving oil pollution and maritime terrorism cases, including the infamous hijacking of the Achille Lauro cruise ship.